Work through resume questions verbally. Discussion will be transcribed and returned to you to review content and add/edit info. Throw out the worksheets and devote 90 minutes on the phone to complete forensic questioning with Gayle. 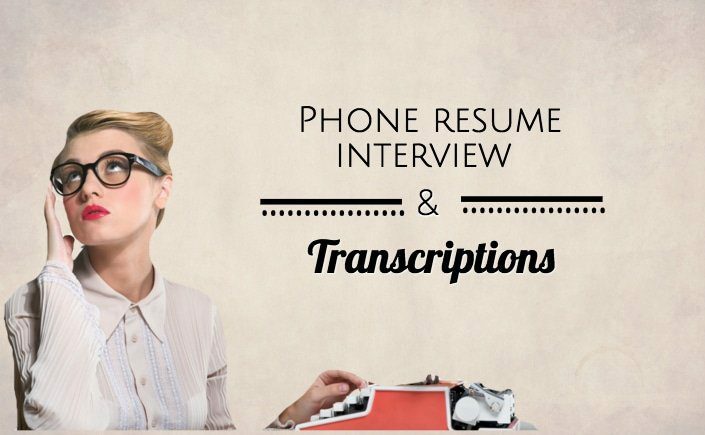 Fee includes time spent on the telephone questioning from the proprietary interview gatherer worksheets, transcription service to transcribe conversation, transfer of documents to the client to review content and add or edit information. 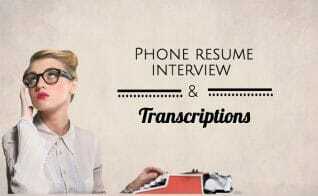 Please note that this service will add a few days to the resume development process to allow for the turnaround time from the transcription service.